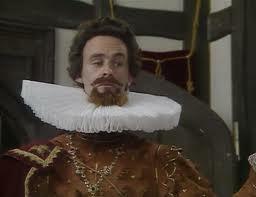 Another Blackadder II quote, this time from Nursie in the episode called “Money”. With Edmund desperately trying to earn £1000 to pay off the loan from the baby-eating Bishop of Bath and Wells, Queenie and Melchett play repeated tricks on Edmund and demanding money from him for his troubles. Following one such trick, Queenie apologises to Edmund for being so naughty saying “It was naughty and bad of me”. The quote is Nursie’s response to this. The path of my life is strewn with cowpats from the devil’s own satanic herd. Taken from series 2 again, in the episode called “Money”, Blackadder owes the Bank of the black Monks of St. Herod one thousand pounds and if he doesn’t repay it by Evensong the baby-eating Bishop of Bath and Wells will brutally murder him with the aid of a poker. At the eleventh hour, he hatches a plan so cunning you could brush your teeth with it. He hires the finest portrait painter in England, Mr Leonardo Acropolis, to paint the Bishop in a hideously compromising position – with Percy. The blackmail is a huge success, although Percy seems less than thrilled with the whole thing. Captain Rum: Ah, “Courtiers to the Queen”! You’re nothing but lapdogs to a slip of a girl! 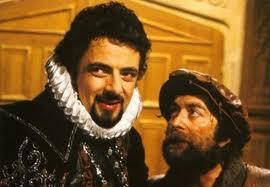 Blackadder: Better a “lapdog to a slip of a girl” than a… GIT! 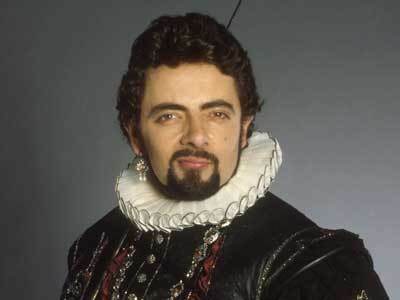 Taken from the series 2 episode “Potato”, Sir Walter Raleigh is home from his epic voyage and the everyone in the kingdom is celebrating – everyone, that is, except Blackadder. The eyes are open, the mouth moves, but Mr Brain has long since departed, hasn’t he, Percy? 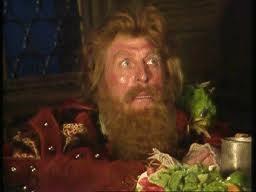 Edmund: Right Baldrick, I have two beans, and I add two more beans. What does that make? As mentioned on a previous quote, Blackadder is one of our all time favourites, so over this festive period we will stick with this truly exceptionally funny sitcom – series 2 for the time being. It had to happen sooner or later. 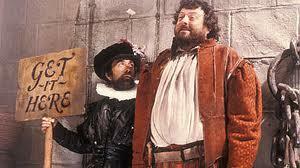 One of the greatest series of comedy programs of modern times and one of our all time favourites – Blackadder. We could very easily fill many months worth of blog entries from this bastion of brilliant comedy; I’m sure this will not be our only entry. Taken from the second series, which was set in the Elizabethan era, Edmund is asked by Queenie “…and me, did you miss me Edmund?”, to which the above was the reply.